We love exposing new talent at NOYZ and we are very happy to bring yet another Italian producer to your attention!. 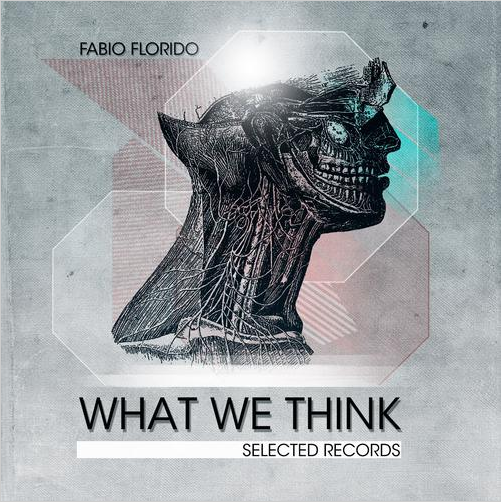 Fabio Florido is the man in question today and he has delivered a BOMB E.P on Selected Records. We have been keeping our eye on Fabio’s productions for a while and have heard his sound develop and progress with each release. We really feel he has delivered his best work yet with this selection of tracks. The E.P is a well balanced affair which spans from warm up material through to peak time techno. The lead title track “What We Think” is an atmospheric monster that is made for big, dark and sweaty rooms. It has already received support from Richie Hawtin who obviously agrees with our opinion on Fabio! Then you have “Finger of Yod” and “Rain & Sun” which are slightly more reserved and focussed on the groove but still very dark and enticing none the less. Our pick of the bunch is “Black Dot”. The bassline is infectious whilst the drums really form a solid groove that would keep even the most tired legs moving at 6 am in the morning. Check out a clip of Black Sun below. You can purchase the entire E.P on Beatport by clicking here.